W.J. 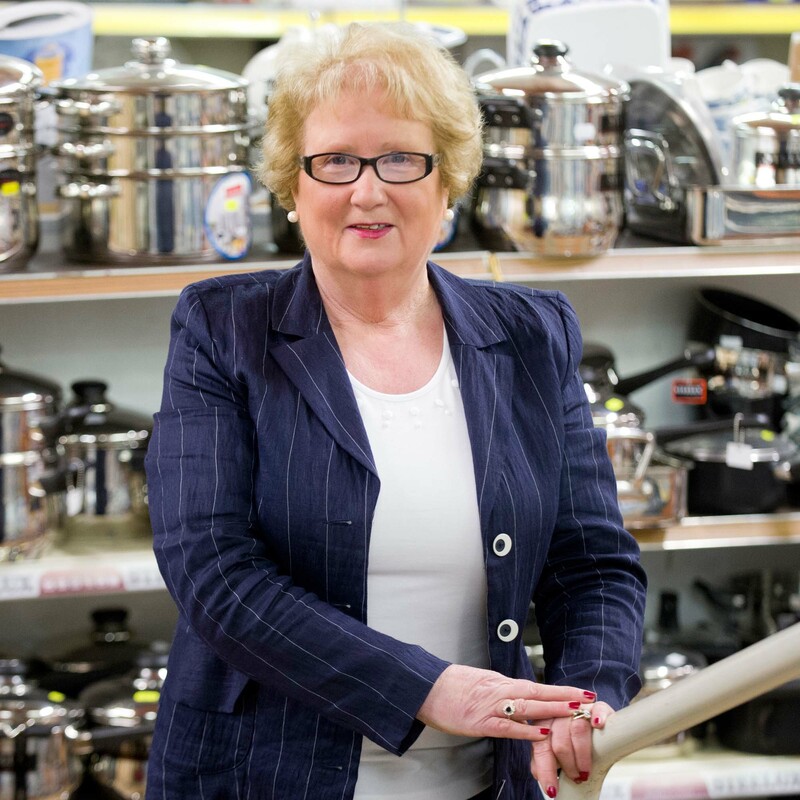 Sloan is in business since 1863, making it one of Ireland’s longest established hardware stores. W.J. 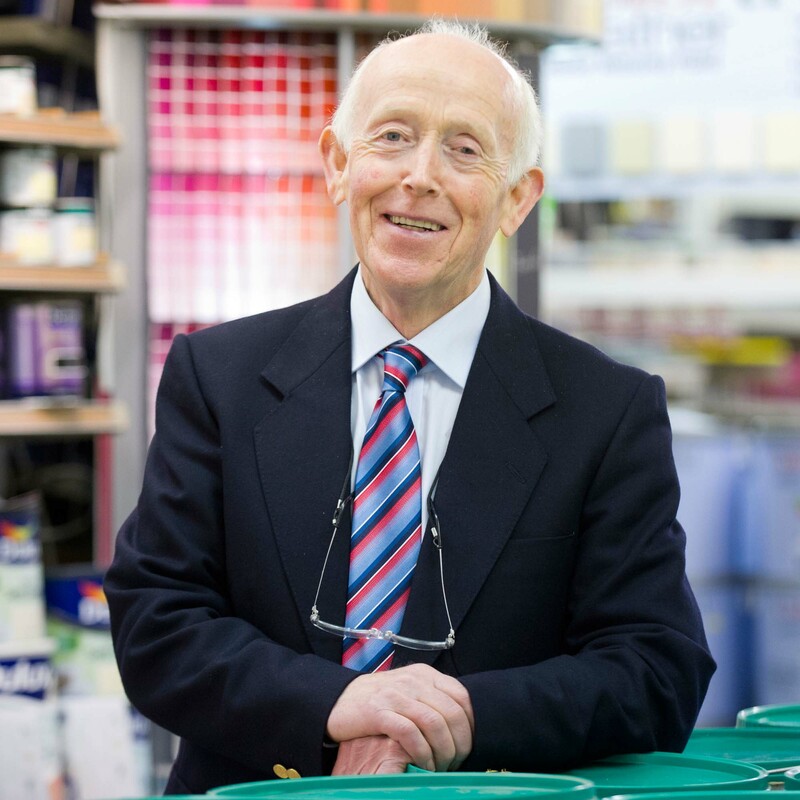 Sloan is managed by the owners Theresa and Tom Cunningham, who share over 100 years of experience in paint and DIY, and enjoy sharing this knowledge with their customers on a daily basis. Whether creating a colour scheme for your home or solving a gardening problem, we have the products you need along with expert advice and guidance. 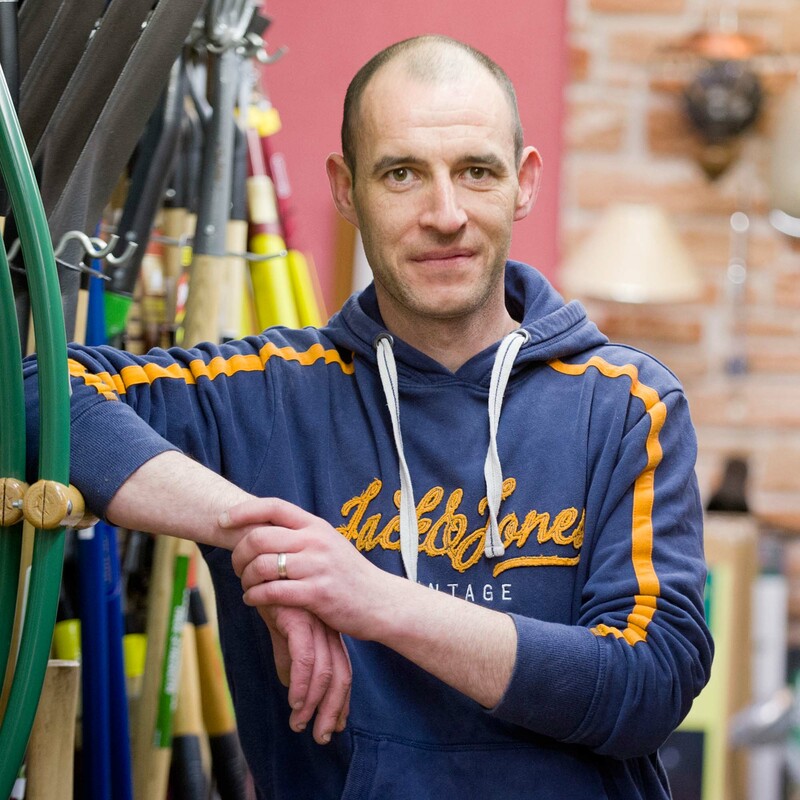 We stock a full range of gardening products including seeds, plants, composts, fertilisers, chemicals, hand and power tools, lawnmowers, barbecues and outdoor furniture. We are paint specialists, stocking Colortrend, Dulux, Crown, Fleetwood, Leyland, and Rustins paints, varnishes, stains and accessories. Our three colour tinting systems in store will ensure you get your desired colour. We also stock a large selection of wallpapers. Our wide product range also includes fishing tackle, camping equipment, hand tools, power tools, furniture, bedding, fuel and gas. Our customers can avail of our prompt delivery service for their convenience. Becoming part of Ireland’s largest buying group, Topline, in 1989, has been a crucial support to the survival and success of our business. Alongside the other 150 plus stores nationwide that are affiliated to the Topline group, we benefit from its bulk purchasing power, from its relationship with the world’s largest independent hardware group, Ace Hardware, and from its ongoing investments in marketing, staff training, and merchandising. 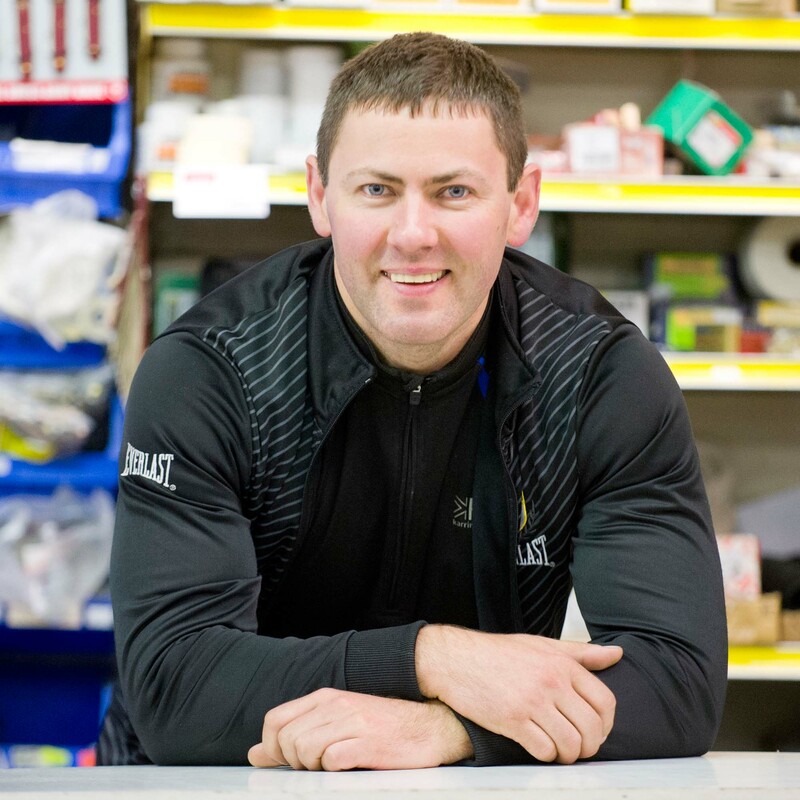 Collectively, these factors allow Topline W.J.Sloan to compete effectively with domestic and international chains, like Chadwicks, Heiton Buckley, Woodies, B&Q and Homebase; and offer our customers competitive prices, better friendly service, and a welcoming shopping environment. W.J. Sloan celebrated its 150th anniversary in 2013. A devastating fire destroyed the store in 1901, which gathered the entire Boyle community to help. One of the most disastrous conflagrations ever witnessed in Boyle took place at an early hour on last Sunday morning, when the extensive business establishment of Mr. W. J. Sloan, one of the leading merchants in these parts, was completely gutted and destroyed. Mr. Sloan, who carries on a large grocery, hardware, etc., business, held two houses in Main-st. [sic], and it was in the principal one of these that the fire occurred. From the information which can be gleaned in connection with the regrettable occurrence, it appears the first person to notice the outbreak was Mrs. Sloan, who found the odour of the fire in her bed-room at about three oclock in the morning. She, along with the rest of the family, resided in the house adjoining the business premises, which is practically part and parcel of the business establishment, and on feeling the smoke promptly went downstairs, fearing that something serious had occurred. On proceeding to the shop she found it filled with large volumes of smoke, and at once concluded the place was on fire. With the most commendable promptitude she gave the alarm, and inside the space of a very short time all the family were got out on to the street. But this was not got through without experiencing some difficulty, for suffice it to say that some narrow escapes were witnessed during this trying period. By this time the cry "fire" rang out through the town, and a large crowd hurried to the scene of the conflagration. The fire engine from the military barracks was called into requisition, and the expedite manner in which it arrived certainly reflected the greatest credit on the military, especially those in command, Color Sergeants MCawley and Johnston, both of whom got it under weigh [sic] with marvelous dexterity and quickness. Of the others, the first to arrive was Mr. Tully, M.P., who took charge of the civilians, and had two lines drawn up from the river, who fetched buckets of water. The morning being extremely dark, Mr. G. W. Tully, D.C., hastened to Mr. Hugh Stewarts electric lighting depot and awakened the staff, with the fortunate result that the street lamps were turned on immediately, and greater facilities offered to those engaged in the labourious working of fighting the flames. A great number of people were now on the scene, all the available military and police being called out, the latter under the command of District Commander T. L. MClelland, whilst a large number of civilians anxious to give every assistance were also present. Attention was first directed to the office of Mr. Sloans shop where it is supposed the fire originated, and from which position emanated the greatest signals of danger. Colour-Sergeant MCawley had possession of the hose, which he used in blinding, sickening atmosphere, but despite all the efforts of himself and the police, military, and civilians, the flames had got the upper hand, and forged ahead from the back to the front of the premises. Seeing the futility of putting an end to the flame at the rere [sic] of the shop, the apparatus was removed to the front, where gallant attempts were made to check its spread, but all proved fruitless. In these attempts several daring deeds were performed, in which Mr. Sloan, junr., played no unimportant part in trying to save the property. The fire in the shop was assuming such alarming dimensions that it was now desirable to look to the safety of the surrounding buildings. Many willing hands were found here at work, those engaged being Messrs. G.W. Tully, W. Sloan, junior, T. Armstrong, H. McDonald, H. Lewis, J. OKeefe, and Private Meenan, etc., etc. but despite their gallant efforts very little was saved. Several had narrow escapes, one of the number, T. Armstrong, being compelled to jump from the second floor on to the street, as the roof came in with a deafening crash. Several others received severe scorches, and some were badly burned about the hands. The men on the roof were, however, even in a more perilous position, and the number of volunteers to mount the large building, which is a considerable height, was highly praiseworthy. Two long ladders were procured from the workhouse and military barracks, and the roof quickly mounted by Mr. W. Conlon, Mr. T. MGrath, Mr. Smith, Belfast, Mr. A. Hancock, London, Mr. R. Stewart, Mr. S. Black, and others. W. Conlon and T. MGrath, with the assistance of others, and Henry Armstrong, succeeded in cutting the slates connecting it with the adjoining building, which is the property of Mr. Tully, M.P., and which was also severely damaged as a result of the fire. The fire by this time was spreading with great rapidity, and some of the inhabitants of Main-st.[sic] got their furniture and effects on to the street in anticipation of the worst taking place. A very plucky action was performed at the back of the premises, which should not go unnoticed. The shop was connected with a pipe from the oil store, and the necessity of cutting off this supply was apparent to everyone. Mr. S. Black and several others mounted the roof, and after great difficulty, and at much personal risk, succeeded in severing the connection with the oil shed and shop. In their endeavours to master the hard task, one of the number, H. White fell from the roof, but beyond a bad shaking was nothing the worse of the occurrence. Had this severance not been effectively done, the flames would have been even more voluminous than they were, although by the time they could have been seen for several miles around the town. The shop was a mass of flames, but, fortunately, the fire was being kept confined more or less. Of the members of the constabulary, Constable Weir, was most prominent, and worked for hours with the hose with the strength of an Hercules. He was ably assisted by Sergeants Sawyers and Diver, and Constables Wynne, Canon, Foley and Gibbons. The heat was so oppressive that a person could not go within an not inconsiderable distance of the fire, and so intense that the windows on the opposite side of the street were cracked, and the paint on the doors raised in large blisters. After several hours of heavy work the flames were got under control, but not until damages estimated at about 4,000 had been done. This loss, though considerable, would have been much more had it not been for the herculean efforts of civilians, police, and military, and their meritorious work at the pumping stations and fire. All the stock had been demolished, while the premises presently are a complete wreck. The fire continued to smolder until Tuesday night. Although the premises have been insured, still the greatest sympathy is expressed with Mr. Sloan in the terrible blow which has fallen upon him. On Sunday evening a blaze again started in the body of the wrecked shop, but the fire engine turned out under Quarter Master Sergeant Barnes, Sergeant Major Staunton and Sergt. Shera, and was promptly extinguished. The following, in addition to those mentioned above, assisted at the work of quenching the fire Sergeant Hadlock, Corporal Cryan, Privates Cryan, Bruen, Regan, and Byrne; Messrs. G. Kirkpatrick, Malachy Connolly, G. Taylor, J. Gillespie, J. Cahill, John Sheerin, R. Rice, P. Griffin, R. Flaherty, John Egan, J. Faulds, T. Connor, P. Brennan, J. Campbell, E. Keaveny, E. Cunningham, etc., etc.